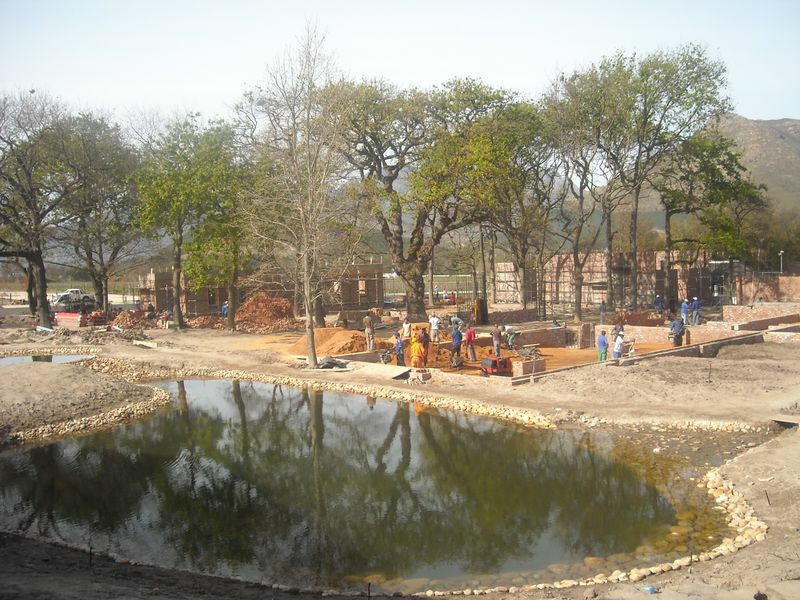 Construction of La Motte’s restaurant and art gallery is coming along nicely on the grounds of the estate in Franschhoek. Above is a photo taken about a week ago with the builders working on the foundations of the new restaurant. In the foreground is the pond that separates the restaurant from the tasting room and cellar. A bridge (just out of the photo on the left hand side) will connect the restaurant and tasting room. Whilst the team in the photo is working hard to build the structure, other teams are equally busy to make sure that the restaurant and gallery are going to be world class and offer unforgettable experiences.